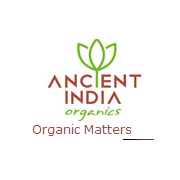 We @ Ancient India are upcoming exporters in Organic and Conventional Agro Food products from India. All our products are USDA/NPOP/NOP certified. We are currently dealing with European and US importers for Organic edible oils like Soya bean, Organic Pulses, Organic Spices (Specially Black Pepper), Organic Herbs like Moringa Leaf Powder, Organic Teas and Organic Arabica coffee. Our organic teas are straight from the organic farms in Assam and Bengal states in India. Our supplier has over 14 tea estates.